Avast is an antivirus security software which is available in various editions, and each edition of Avast Antivirus Security software have unique feature added in it. The four editions of Avast includes Avast Free Antivirus, Avast Pro, Avast Internet Security, and Avast Premier. Avast Pro, Avast Internet Security, and Avast Premier are its paid version but however those who wants to enjoy Avast service for free there is a free version called Avast Free Antivirus. Most of the people likes the Avast Free Antivirus and it is one of the most downloaded Antivirus security suite which is available on various platforms like Windows XP, Windows Vista, Windows 7, Windows 8, Windows 8.1, Windows 10, MAC OS X, Android, iPhone and iPad. Now let’s move on to main reason behind writing this article, Avast Free Antivirus 2015, Avast Pro Antivirus 2015, Avast Internet Security 2015, and Avast Premier Antivirus 2015 is available to download on official Avast website but when you go to download you usually get online installer of Avast Free Antivirus, Avast Pro, Avast Internet Security, or Avast Premier and if your internet connection is slow or drops frequently your Avast Online Installer downloading process might get aborted in middle which becomes hectic job sometimes so if you want to skip this problem than it is best to download Avast Offline Installer file on your PC and install it on your computer, you can even use the same Avast Offline Installer file to install on your multiple computer without requiring to download it from Avast website every time. 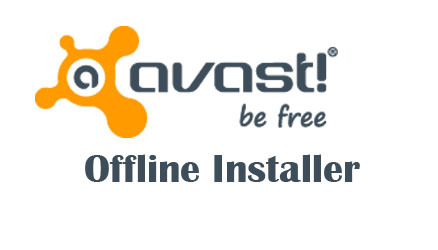 So if you are looking for the official links from where you can download Avast Offline Installer file, below are the official links from where you will easily able to get Avast Offline Installer Files. Avast Free Edition Antivirus is free for lifetime just you will need to register with valid email id once per year, and the paid editions of Avast which includes Avast Pro Antivirus, Avast Internet Security, and Avast Premier Antivirus can be installed as a trial mode and can be used up to 30 days with full access to all features as well as technical support but once the trial period expires you will have to buy the software license of the respective Avast edition or uninstall the trial program.